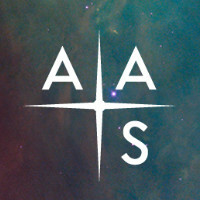 MAST personnel will be participating in a number of activities at the current AAS Meeting in Seattle, WA. Accessing data products from the first TESS mission data releases, and navigating all the associated MAST services. Accessing data from the more than 20 other active and legacy missions we support, including HST, Kepler/K2, and Pan-STARRS. Using Amazon Web Services to access and analyze public HST and TESS data. Exploring MAST data holdings of exoplanet candidates through the new exo.MAST portal. How to archive referreed research data as a High-Level Science Product with MAST. Event times are subject to change, so please check the AAS Program for any updates. We also welcome your feedback and would be happy to discuss future tools and improvements you would like to see implemented in MAST services. AAS Meetings provide an excellent opportunity for us to gain valuable insights into the MAST user community through your direct input, so don't hesitate to stop by if you can. We look forward to seeing you there! New and updated High-Level Science Product collections at MAST include a new catalog of Swift UVOT sources, the first TESS Sector 3 candidates, and updates to Frontier Fields Lens Models and K2SFF. The Swift UVOT Serendipitous Source Catalog (UVOTSSC) presents sources detected in 23,059 UV and optical images taken during the first five years of Swift observations. 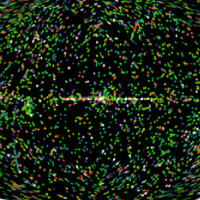 The catalog contains positions, photometry, morphological information, and data quality flags for 6,200,016 unique sources in 3 UV and 3 optical bands. The catalog is available as direct download and through the MAST CasJobs interface. The Frontier Fields Lens Models collection now includes updated version 4.1 models from Bradac et al. for Abell 370. The K2SFF (Vanderburg et al. 2014) collection now has calibrated lightcurves from K2 Campaign 18 available at MAST. The Data Products from TESS Data Alerts have been updated with new exoplanet candidates from Observation Sectors 2 and 3. These updates also include the first multisector candidates with sector 3 data. If you are thinking about contributing a High-Level Science Product of your own, please fill out the HLSP Interest Form to get started. HLSPs archived on MAST enjoy permanent hosting space, additional visibility, and, often, increased citation rates. Any further questions on the process can be sent to the Archive Helpdesk. This newsletter is a MAST publication produced by Greg Snyder, Peter Forshay, and Jonathan Hargis, on behalf of the entire MAST staff, who welcome your comments and suggestions.